Here are a couple of good new white releases from Ten Minutes by Tractor. Pinot gris is the Mornington Peninsula’s third grape variety in my view. Pinot noir and chardonnay are the first two. It rarely seems to underperform or present itself as simply “white wine” in this region. 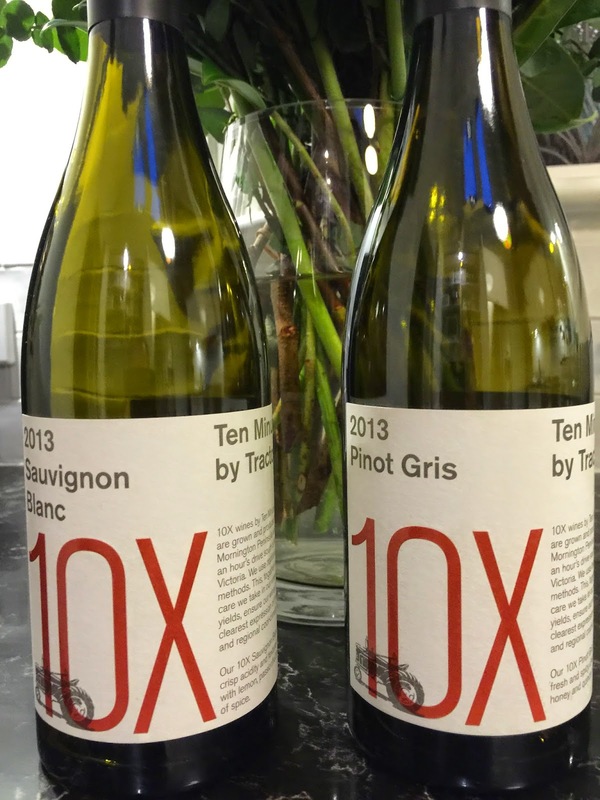 The 2013 pinot gris release from Ten Minutes by Tractor is a very good example of this grape variety – it is probably a benchmark in fact. Its aromatics remind of pear and quince, while the palate is just right – not too fat, and not too thin. The finish on the palate is quite long and this wine is recommended. The winemaking here sets this sauvignon blanc apart from the usual suspects. It sees fermentation in old French oak barriques, a partial malolactic fermentation and then 7 months of oak maturation. I have done many comparisons over time of the Marlborough sauvignon blanc style as “wine 1” with an example from Sancerre and Pouilly-Fumé as “wine 2”; drinking this wine almost reminded me of a “wine 2”. That said, it’s not quite a Sancerre or Pouilly-Fumé style either – sui generis perhaps. In the glass, 2013 release of Ten Minutes by Tractor’s sauvignon blanc has aromatics that are almost chardonnay like, reminding of lemon citrus, bread, almond meal and a touch of honey, and eschewing the traditional sauvignon blanc high tones of grass and gooseberry. The palate is balanced and a sea salt acid character gives freshness to its core lemon and cedar characters. Overall, this is an interesting wine. Source: sample, Vendors and website: http://www.tenminutesbytractor.com.au.